See Plant Guide to South Kaibab Trail for an introduction to this page, especially the Introduction To These Species Pages. 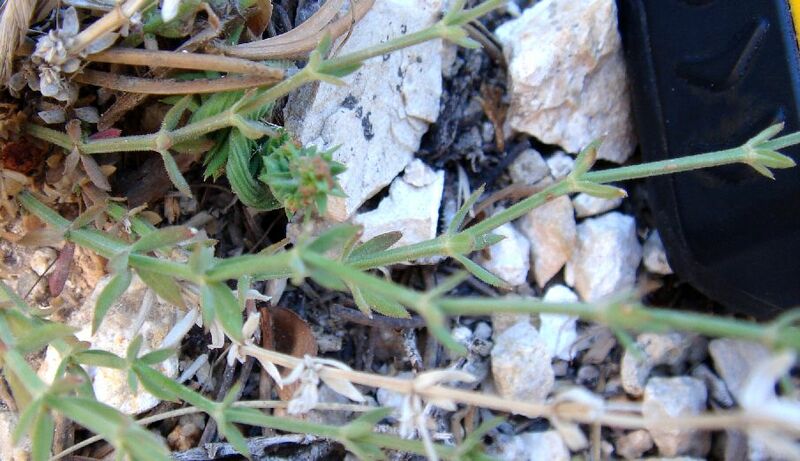 See Plant Species of the Bright Angel Trail: Munz's bedstraw, Galium munzii ssp. 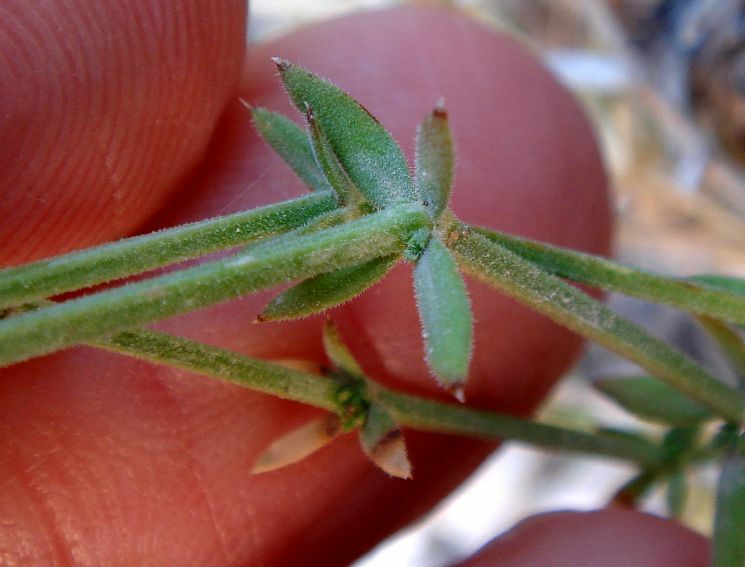 ambivalens for an overview of the Galium species in this area of the Grand Canyon. Identification status: No Galium determination can be considered secure without flowers and fruit, so my confidence in this determination is not high. From a SEINet search on 2 September 2008, there are 12 vouchers of this species from the Coconino County portion of the Grand Canyon. The nearest are several vouchers from Grandview and Grandview Trail. Note that there may be additional vouchers at other herbaria not available through SEINet. First occurrence on South Kaibab Trail: mile 0.00, elevation 7200 feet (2195 m). 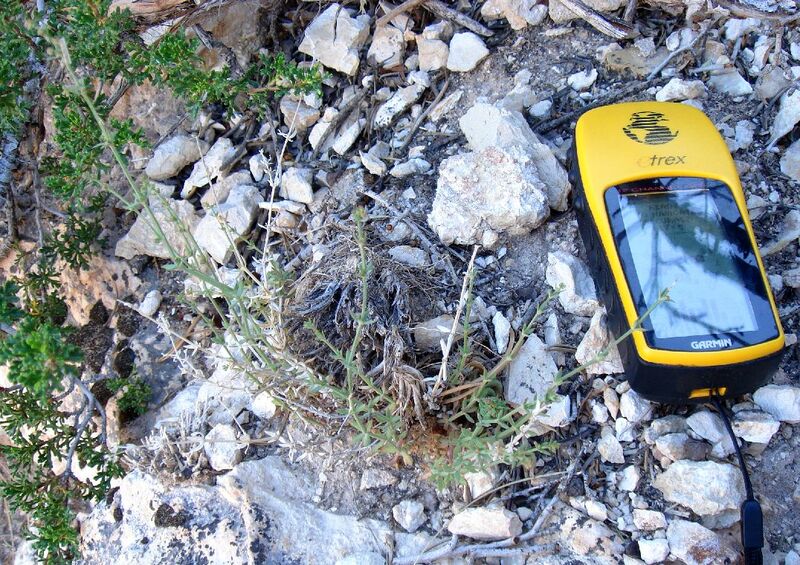 Number of plants along Trail: at least plants were found in at least different locations in August 2008. Online pictures: SEINet; PlantSystematics.org. Those very narrow linear leaves look very different from the leaves of the plant on this trail. However, the Abrams illustration shows much shorter leaves, similar to those of the plant on this trail.